It was the hats that drew me in. I hadn’t given men’s fashion a thought up until now. And then I looked at this photograph. They are all wearing different hats. And I don’t even know the name of the styles! And their collars are different too. Allow me to zoom in. The hats, collars and ties are all so different! 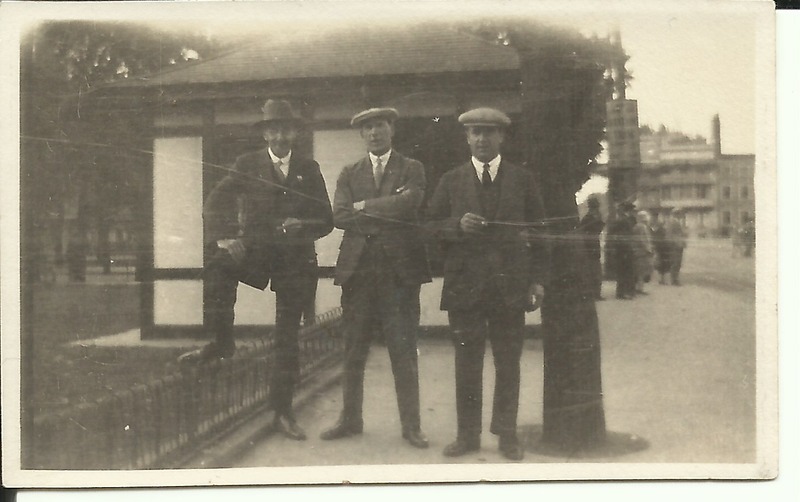 I am only surprised because I had assumed men had a distinctive style in those days and all wore the same. 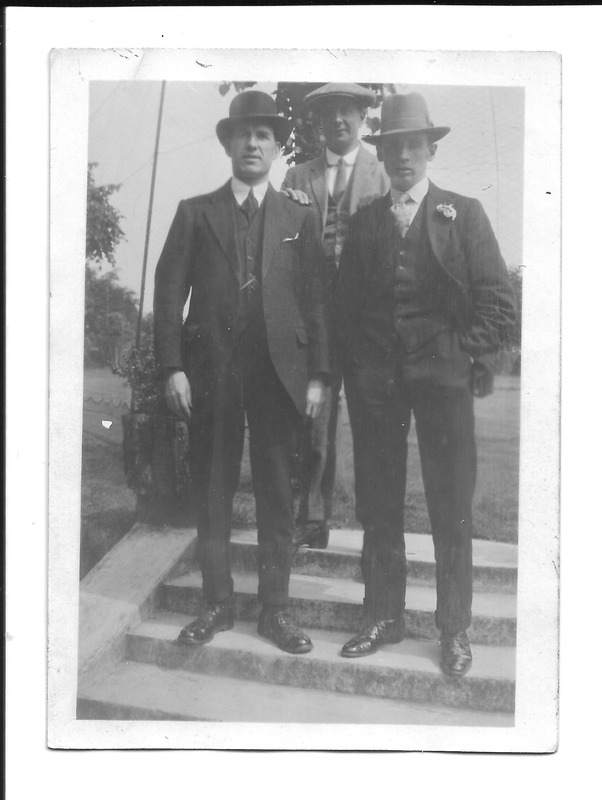 But here are three men all wearing completely different style of hat, with different collars and ties. There are another couple of photographs, which may or may not be the same gentlemen. My eyes are drawn to their hats. 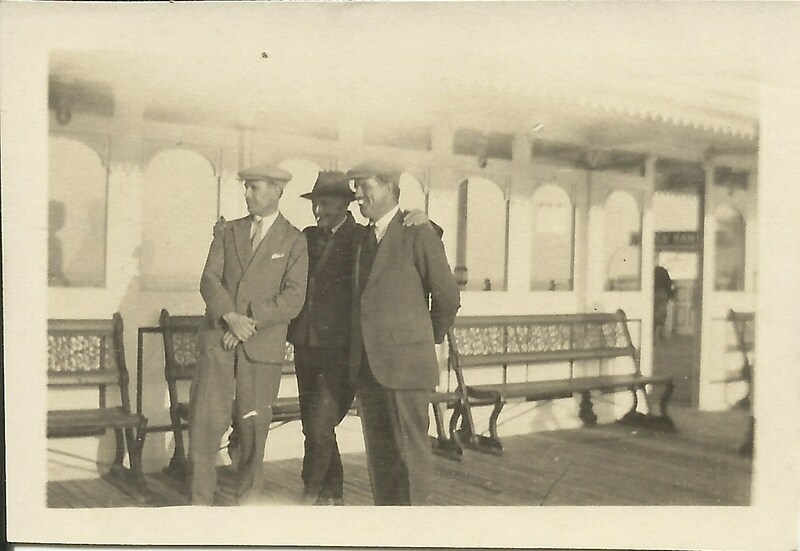 This entry was posted in Joseph Taylor Dinnis and tagged Ernest Doswell, fashion, Frederick Ashbolt, hats, mens hats, Wilfred Davis. Bookmark the permalink. When a heat was a sign of a gentleman. Gentlemen are few and far between any more.